Low prices: Prices are highly affordable, with most men’s jeans priced between £24 and £30 ($31 and $39) and women’s dresses starting at £16 ($21). Middle ground: In menswear in particular, the Find brand’s styling looks “safe,” with low-price staples mixed with somewhat conservative, smart-casual fashion ranges. Amazon appears to have dropped some more fashion-forward items into the womenswear ranges. The current range looks broadly akin to “supermarket fashion,” and so appears to present little near-term threat to specialist retailers—even those in the midmarket—that enjoy strong fashion credentials. We wonder if this positioning is partly due to the fact that Amazon is still finding its feet in apparel. The retailer’s ultra-broad positioning likely makes it tough for management to know to whom, exactly, it should pitch its inaugural fashion range: how does the “everything store” successfully position a category as diverse and segmented as fashion? Who Is Behind the Find Range? 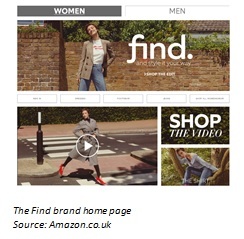 Amazon recruited experienced names from UK mass-market retailers to develop its fashion offering. In 2016, it hired former Marks & Spencer head of womenswear Frances Russell. In 2017, Amazon poached Karen Peacock, formerly the head of design for womenswear and accessories at Marks & Spencer, and Glen George, formerly the director of buying for menswear at Primark. Getting brands on board to supply in-season product directly is one way to challenge this off-price image. But offering private labels is more important, because a retailer does not establish fashion credentials in its own right simply by selling other companies’ brands. 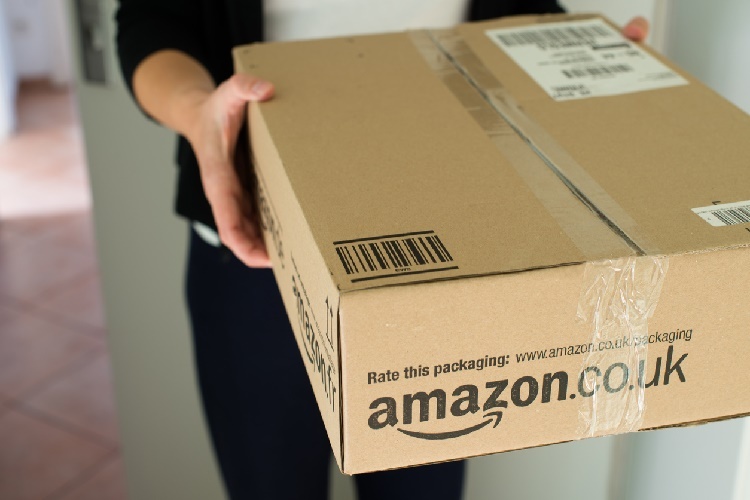 We think there is scope for Amazon to offer more fashionable private-label ranges, and in the coming years, we expect to see the retailer use data as the springboard for its offering. In particular, we expect to see Amazon make use of the kind of test-and-repeat model that pure-play names such as Boohoo.com use to develop their offerings—with that model, the retailer tests products on its site and then orders larger volumes for those items that prove popular with customers.